This summer marks many milestones for Jon and me. In fact, 2013 has been filled with many emotional moments, some great, some not so much. It is hard to believe that half the year is already gone; it has just flown by. We’ve celebrated 20 years of Disney, our daughter Emma’s wedding, our own 30th anniversary and of course, Boston Marathon. There have been tears of joy and tears of hurt. Thank goodness we have each other, our families and friends and yes, really… our running. Many of you remember when our kids were little. Emma ran most of the 5k’s we organized. Of course, I use the term running, loosely. 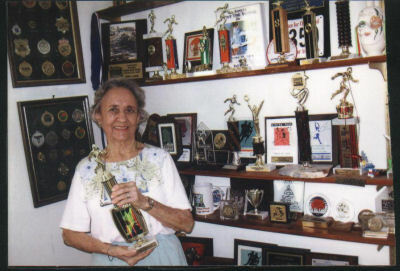 She often was one of the last to finish. Sometimes our course volunteers would finish the race with her, unless it drove them crazy that she stopped for every pretty flower and unique rock. She still runs some races and now her husband, Will, does as well. Her wedding was such a fun event. Tears started flowing, Jon’s tears, as he walked her down the aisle. Emma was in control and was just gliding along. The wind was blowing, palm fronds were falling down behind the bridesmaids…it was a blast. I never stopped smiling that day. I shed my own tears when our son, Chris, welcomed Will into our family. That was March. April brought us many new and difficult emotions as we watched from our hotel room the terror of the Boston Marathon. We continue to pray for the lives lost and the lives changed that day. Everything I’ve heard and read says, as runners we will persevere. Jon is ready to run again next year, he re-qualified and I’ll be there again to cheer him on. The out pouring of love in this community was overwhelming upon our return…thanks to each of you for your hugs, notes and thoughts. The end of spring really does bring May flowers and of course, humidity and wet runs. 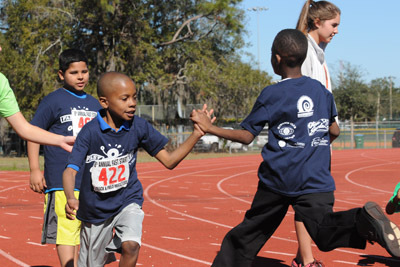 It also means the beginning of marathon training for our Central Florida runners/walkers. MarathonFest and Galloway programs are just now underway and excitement is in the air. Hundreds are crawling out of bed as early as 3:45 Saturday and Sunday mornings, ready to meet up with their group to run/walk, chat about their week and train for their big event. A training group becomes an extension of your family, especially as runs get longer and longer. 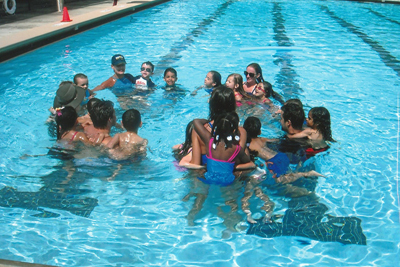 Our coaches help direct the distances and work outs depending on your goals. But it is up to you to be a listener. It is important to listen to your coach, trainer or group leader; and it is as important to listen to yourself. The only way to achieve your running goals is by being honest with yourself. Rest days and cross training days are a must to stay injury free. Tempo runs and track days are part of the plan. And the pace of your long run plays a big part of your success. Remember to be a listener. Slow and steady really can win the race. Spring and summer also brings new green leaves and babies everywhere. Baby birds, baby lizards, baby bats in our bat house and little baby runners due this fall in our own Track Shack family! It’s a blast watching our extended family grow J. Our Track Shack Running Series is no baby and this will be our 35th year of the best events in Central Florida! Once again, we begin the series with our Celebration of Running 5k at the Orlando Science Center, August 17th when we celebrate our 36th anniversary of our first baby, Track Shack. Hope to see you there and at all our fun events this season. 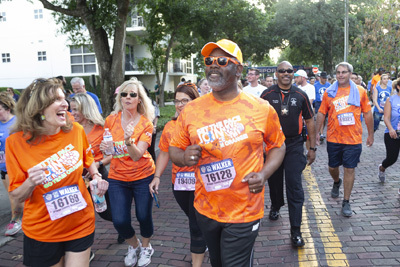 The OUC Orlando Half is yet another great event we’ll be hosting December 7, 2013. It’s probably time to think about training for that one! 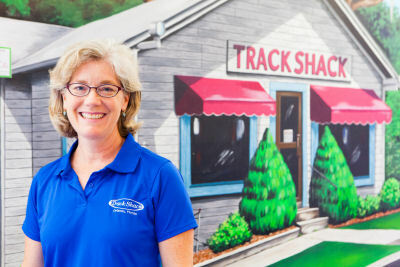 Have you been to Track Shack lately? If I do say so myself, we look great! Our shoe selection is amazing and our apparel brightens up the whole store. And our staff, when not busy helping customers are stretching, foam rolling, sometimes icing a foot… everyone is training for a big event themselves! We have triathletes, ultra marathoners, track coaches and even some regular old runners who walk now and then (me J) ready to tackle your running issues, a new shoe fitting or maybe discuss your injury. Between all of us, we’ve probably had the injury you are wondering about. That listening paragraph above? Well, that affects us too. If it has been a long time since you’ve been by, stop in, bring your current shoes and let’s re-evaluate your feet, your running or walking routine; we’d like to help keep you on the roads.